Recently I shared my personal quest to read as many books by children's author Mem Fox which lead me to read her non-fiction book Reading Magic. 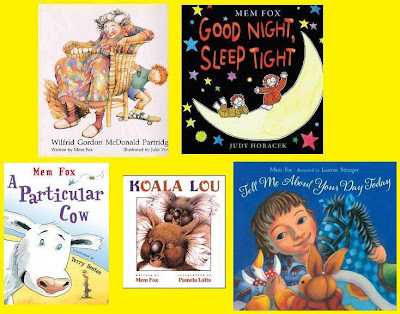 This list I've put together is not my children's favorite Mem Fox books, although I've allowed them to influence my selections, but rather my favorite. I've included a short review of what I like about this book. Wilfrid Gordon McDonald Partridge - I love this book because it's such a beautiful little story about aging, and the sweet influence a child can have on an elderly person. The book is also fun to read with the voices of the elderly people and little boy. A favorite to read, admittedly one I like more than my kids. And don't tell, but it did make my wife cry. A Particular Cow - This book is really cute, and of all the Mem Fox books is probably one that my two-year-old son really likes the most. 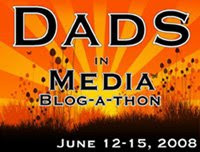 It's quick, silly, and has funny pictures of the domino of mayhem which unfolds. I enjoy it, the kids enjoy it, and you can read it three or four times in a row at a time without any boredom. Koala Lou - This a sweet story that also has that potential parental cry factor, with the line "Koala Lou, I do love you." In this book the little koala bear is trying to impress her mother in the bush olympics, and has this beautiful message of both striving for a goal but also the unfailing nature of a parents love. Good Night, Sleep Tight - I like this one, and the kids do too. It's smashed full of rhymes, and my kids love to read it. I read it with a quick pace and, love the fact that the story is told to two kids with a male babysitter. We have a couple older teen boys who have watch our kids sometimes (who they love) and so to have a book with a male baby-sitter character is enough to make this book stick out. Tell Me About Your Day Today - This book is imaginative in that three stuffed animals share their day in a cute little repeating rhyme, and by the time the child shares their story all the animals stories pull together to tell the real story. 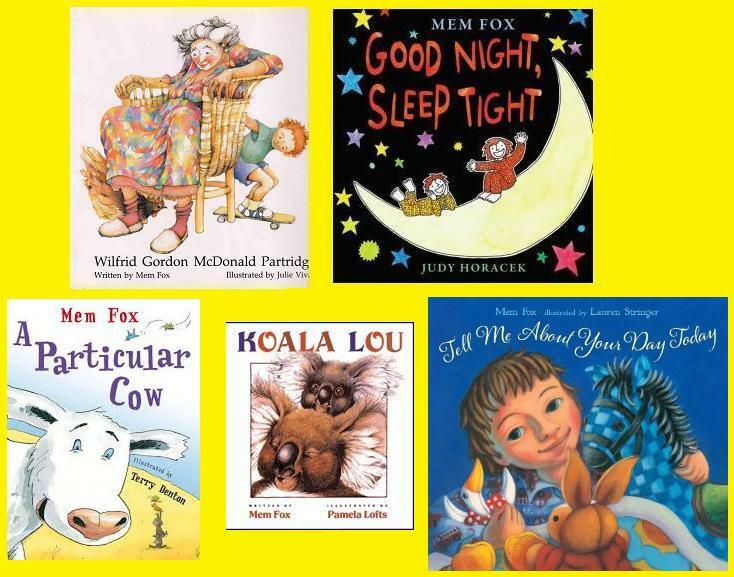 I read this story two or three times to me kids as a bed time story, but then one afternoon my daughter and I talked through the pictures and pieced the story together so she could see what Mem Fox is doing with her story. It was fun, and the pictures by Lauren Stringer in this book are warm and inviting.